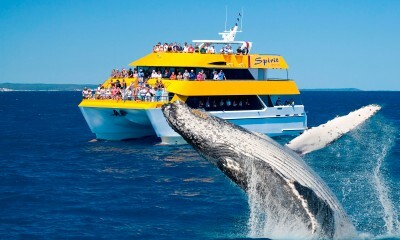 Whale Watching is a must do experience in Australia during the winter months. Seeing these majestic, highly intelligent and family orientated mammals relaxed in their natural habitat is an experience you will never forget. 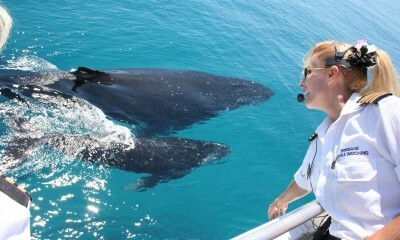 For your convenience we have brought together the best whale watching tours from the top spots around Australia. Browse and compare the range of whale watch experiences and book early to secure your space. The Australian whale watching season runs from May - November. 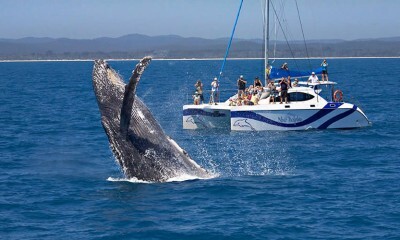 Kids go free* on this half-day Whale Watching cruise departing Hervey Bay twice daily. Bonus: includes 10% Meal & Coffee discount at The Boat Club! 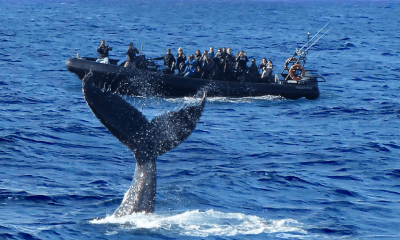 A full-day exclusive whale watching onboard the award winning sailing boat with no more than 24 passengers. 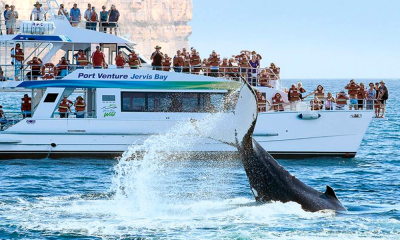 A great value half-day whale watch tour from Hervey Bay aboard a luxurious fast whale watch vessel, includes morning/afternoon tea. 2 tours for the price of 1! This package brings you the best of both worlds, spot the whales and hand feed the wild dolphins, a magical day on beautiful Moreton Island awaits. 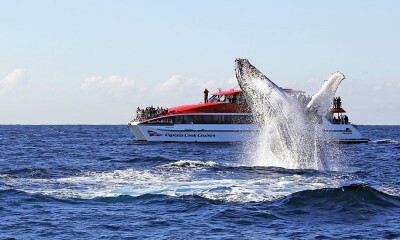 Whale watching is a popular pastime in Australia, whether from the land or on a whale watching tour. The east coast of Australia is like a highway for the Humpback whale migration which see's the whales travel from the cold waters of the Arctic, north to the warmer waters off Australia's north coasts. Here they calve and raise their young before returning south. Along the way they pass many popular destinations including Hervey Bay (the whale watch capital of the world), the Sunshine Coast, Brisbane, the Gold Coast, Sydney and Jervis Bay.